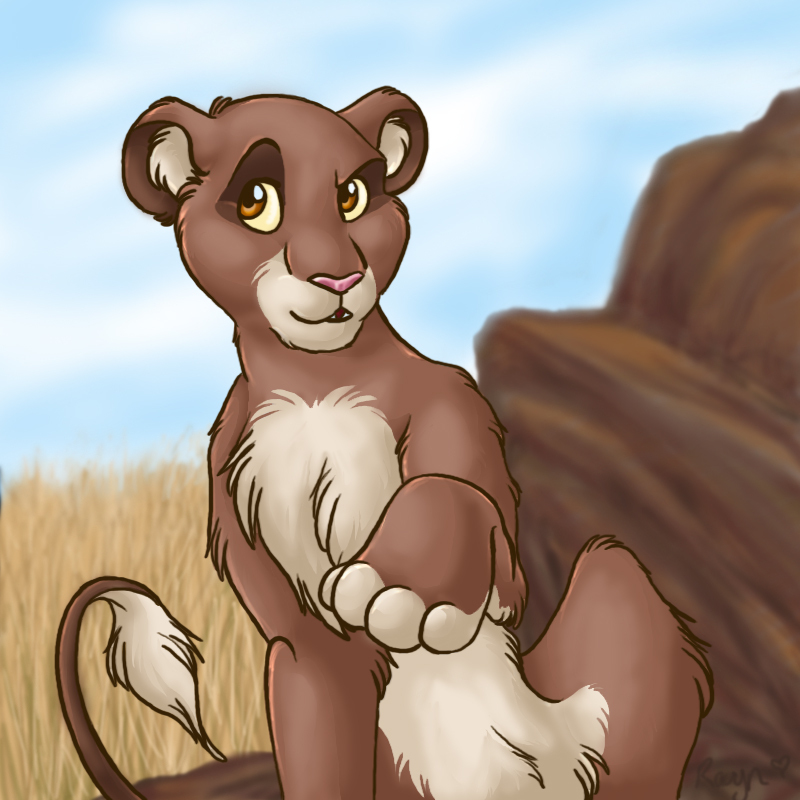 Duma, a random TLK style lioness. She`s very tomboyish and wishes she could spend her days with her friends (which are all male) instead of doing silly female things like watching cubs. aww she looks adorible great job i bet she gets up to a lot of naughty stuff when the cubs are not around huh lol have you ever drawn her in an adult situation before?